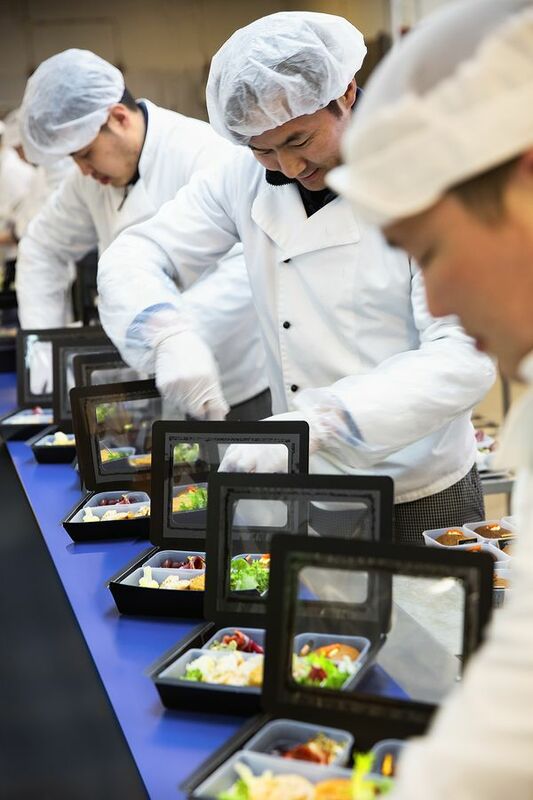 The airline’s previous solution was not good enough and SAS therefore decided to develop a new form of food packaging that could live up to the many quality and visual demands. Important parameters included the feel of the material, the surface coating and the ability to colour the material. The new food packaging is now being used for evening meals for passengers in SAS Plus on almost all routes outside the Nordic region. Another new feature is that all the contents – apart from one piece of chocolate – are now being produced at the same place by a dedicated team. 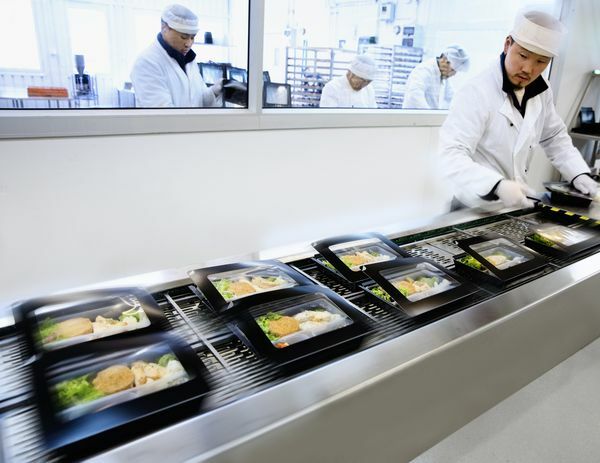 SAS believes this will raise both the quality and quality consistency of the meals. SAS’s packaging supplier worked together with Elanders, which previously developed a compostable packaging for Malmö Aviation that was also far lighter in weight. 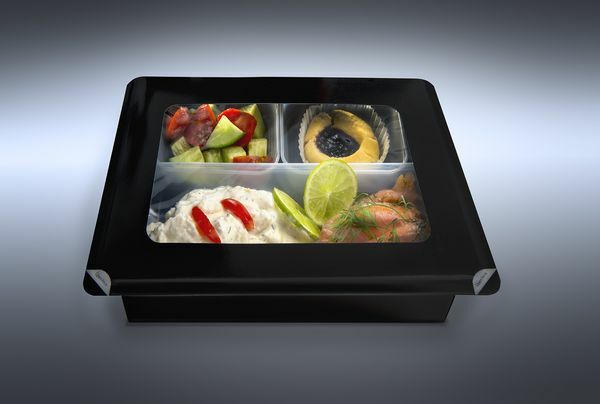 The SAS commission was to create packaging that is easy to use, has low weight and presents the food in an elegant way. “We chose Incada from Iggesund because of its stiffness and we coated the inside with a barrier of black-dyed polyethylene. The packaging’s outside was printed black and we then put a lot of effort into finding a transparent film that captured a minimum of condensation in order to create the best possible visual impression of the food,” explains Tony Norén of Elanders. Incada is made at Iggesund Paperboard’s mill at Workington, England. There, Iggesund has radically changed its energy supply from fossil natural gas to biomass. The mill’s new CHP power plant is the result of an investment of £108 million, and the reduction in fossil emissions is the equivalent of taking 65,000 cars a year permanently off the road.